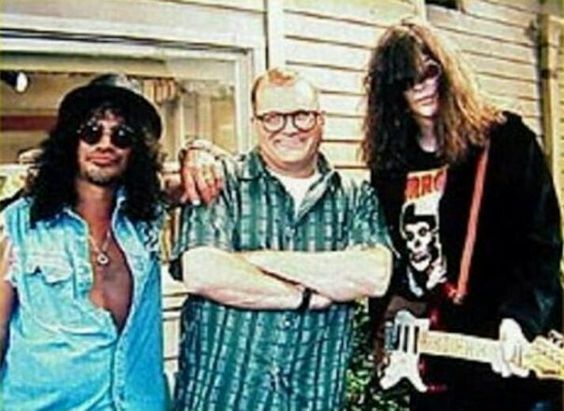 That is a cruddy still frame of Drew Carey, Slash… and Joey Ramone! It was from season 4, episode 2, of The Drew Carey Show show entitled, “In Ramada Da Vida”. The plot line called for open auditions for a guitarist to join Drew and company’s garage band.